In the beginning of 2019, Mindsight traveled to the Legal Services Corporation (LSC) conference. We presented exciting contact center developments with the Legal Services of North Florida (LSF) team, and Mindsight engineer, Patrick Mathieu, focused exclusively on how screen pops improve the customer experience. When contact center experts consider the industry’s move toward omnichannel customer experiences, screen pops are one element of a seamless customer experience. This year, the LSF team, which included Mathieu, presented at the conference. The team focused broadly on how integrated phone systems can improve case management, and Mathieu presented his innovations in screen pop engineering. The team included Xander Karsten, PSTI; Zahid Masood, Z Consulting; Leslie Powell-Boudreaux, Legal Services of North Florida, Angie Wagenhals, Montana Legal Services, and Mindsight’s Patrick Mathieu. While this particular use case was implemented in the legal services field, the team noted the overall benefits of an integrated phone system to other industries, such as healthcare, education, and financial services. The ability to improve queueing and customer feedback metrics is useful everywhere. In these cases, screen pops improve the customer experience and harness the power of technology to improve overall call center operations. Mathieu focused specifically on how screen pops improve the customer experience, presenting on the technology he and Mindsight developed. Mathieu demonstrated how he used the phone system’s Java Telephony Application Programming Interface (JTAPI) to listen for incoming calls. Mindsight’s innovation lies in how the integration queries the Legal Server CMS to identify any open cases associated with the incoming caller ID, and then “pops” the case to the associated case agent. Consider how many times callers are asked to repeat their case information, recall PII or PHI, and identify themselves. By removing this hassle, the screen pops improve the customer experience and provide improved metrics to the legal center. Now apply that to healthcare. Or a bank’s loan officer. Instead of patients’ missing out on important care steps or potential home-buyers’ losing precious time in closing on big deals for the banks, these institutions can implement efficient, secure queuing systems using screen pops. We know this specific use-case may not meet your needs. That’s why Mindsight works with expert engineers like Patrick Mathieu who share their innovations broadly, improving outcomes for both contact centers and callers. 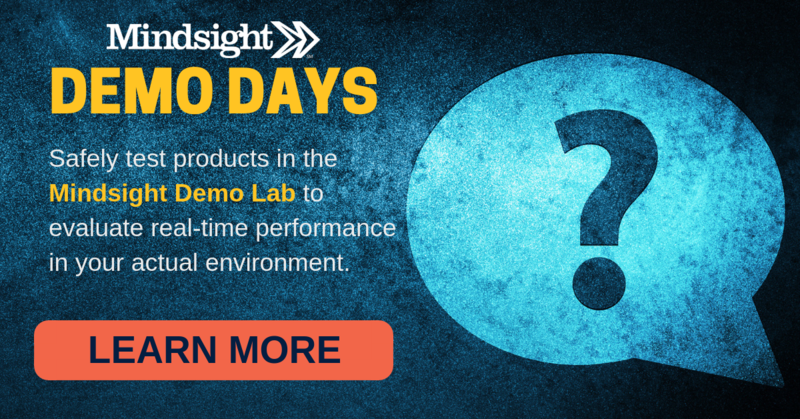 To find out how Mathieu and the rest of our contact center solutions architect team can assist you in improving metrics, register for a Mindsight demo day – our weekly, hands-on (and free) lab experience – where we can test solutions to fit your unique environment. Or contact us today to discuss your needs and how our team can help you. Contact us today to see if screen pops improve the customer experience in your environment.